Boils are basically caused by bacteria and sometimes even due to blood impurities. Neem which is bitter in taste helps in pacifying the heat. Neem being the best for having properties such as anti-inflammatory, anti-pyretic, anti-bacterial, anti-fungal etc not only helps in reducing the boil but also helps to get rid of the causative factors of boils. 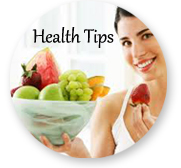 Triphala Capsules: 1 capsule twice daily after food with plain water. Neem Capsules: 2 capsules twice daily after food with plain water. A paste of the flowers of shalmali is applied over the boils. A paste of chandana powder with rose water over the boils also helps in its healing since both are of cooling nature. 'Chandanadi panakam' or 'chandanadi vati' is also effective in reducing boils and useful in various skin problems like prickly heat, sunburns etc. A swab of cotton dipped in castor oil can be applied over the boils. The juice of 'Tulsi' leaves can be poured on the boil. At the site of the boil, apply a paste of neem powder (preferably) or some neem oil. To make the paste, simply mix a little neem powder with warm water. If the boil appears to be due to chronic constipation, do a basti (enema) using dashamoola tea. Boil 1 tablespoon of the herb dashamoola in a pint of water for 5 minutes. Let the liquid cool, strain it, and use it for an enema. In addition, take 1/2 teaspoon of amalaki or the herbal compound triphala at night. Steep the triphala in a cup of hot water for 5 to minutes and then drink. This purgation will help to remove excess pitta from the hema?topoietic (blood-building) system, which is the cause of the boil. You may continue taking the triphala or amalaki indefinitely, even after the boil is healed, as a preventive and general health tonic. 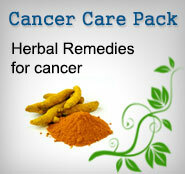 Apply a paste of red sandalwood and turmeric powder locally. Use '/2 teaspoon of each powder, and mix them together in warm water to make a paste. Apply cooked onions as a poultice, or apply a paste of ginger powder and turmeric (1/2 teaspoon of each) directly to the boil, to bring it to a head. A boil may develop into an abscess, if the boil is due to an infection of the sebaceous glands (a pitta condition).It becomes inflamed, raised, and red. If you use a formula to help cleanse the liver, the condition will be improved. A simple and effective liver cleanser is aloe vera juice (Kumari Saar) . Take 2 tablespoons 3 times a day. Or you may try this Ayurvedic formula:? Take 1/2 teaspoon of this mixture 3 times' day with warm water.